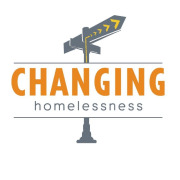 Changing Homelessness, Inc. Changing Homelessness, Inc. The mission of Changing Homelessness is to guide the community effort to prevent and end homelessness by providing leadership, advocacy, support, standards, and funding. As a Lead Agency for Duval, Clay and Nassau Counties, Changing Homelessness assists member organizations in applying for and receiving federal grant money, develops the local homeless Continuum of Care plan and coordinates the delivery of services for the homeless and those with extremely low incomes. Would you recommend Changing Homelessness, Inc.?